Temples of Angkor Wat, Cambodia. 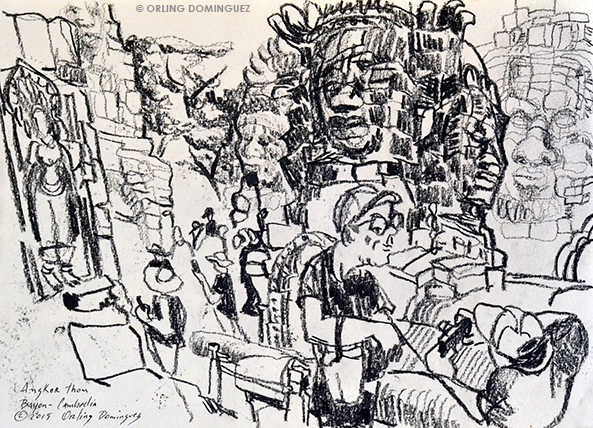 [By Orling Dominguez, in Santo Domingo, D. R.]Last June, right before the symposium in Singapore, I visited Cambodia. I fall in love with this country, its citizens, their kindness and efforts to make you feel at home. 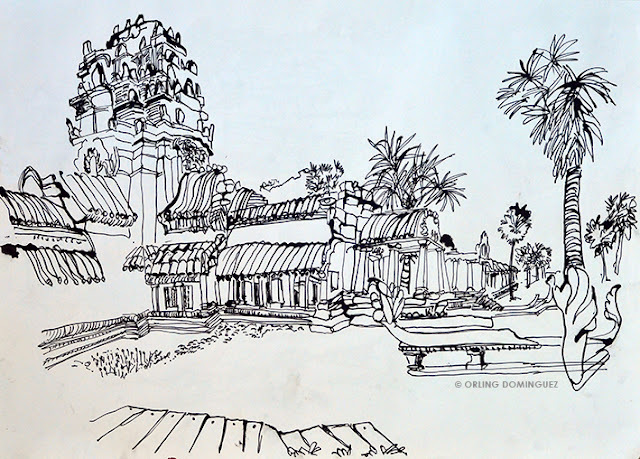 In Siem Reap, I was in awe of the beauty of the Angkor Wat Complex. 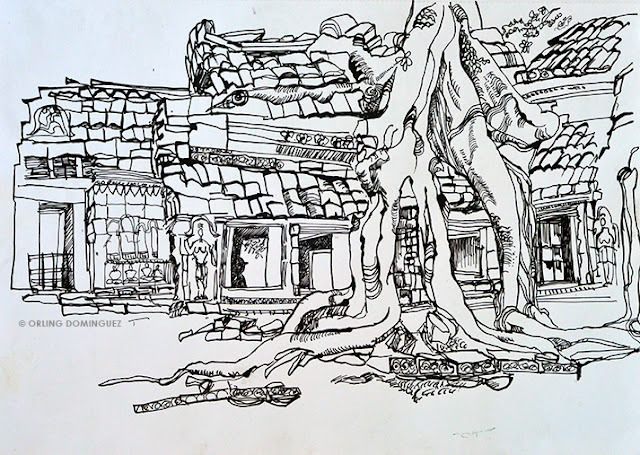 Each temple I visited, and had the opportunity to draw, had its own personality, and even though they look the same from far away, when you approach them, and tour them inside, you can see the differences and perceive their essence. 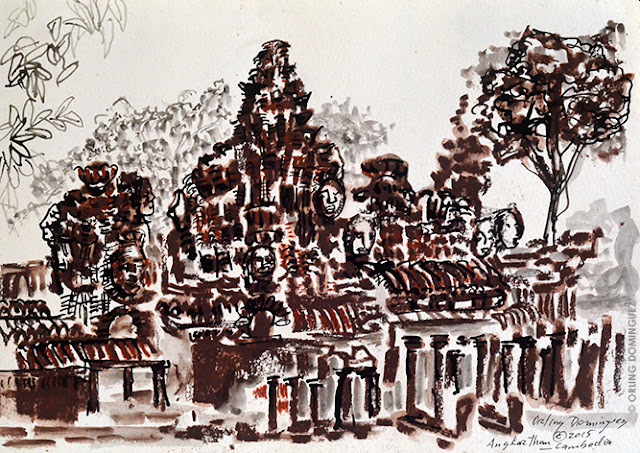 Here are a few drawings of the temples of Angkor Wat, Ta Som and Angkor Thom.